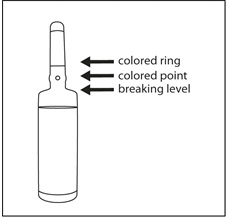 HALDOL (haloperidol) is available as a sterile parenteral form for intramuscular injection. 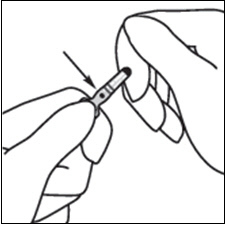 The injection provides 5 mg haloperidol (as the lactate) and lactic acid for pH adjustment between 3.0â€“3.6. Elderly patients with dementia-related psychosis treated with antipsychotic drugs are at an increased risk of death. HALDOL Injection is not approved for the treatment of patients with dementia-related psychosis (see BOXED WARNING). Patients with Parkinson's Disease or Dementia with Lewy Bodies are reported to have an increased sensitivity to antipsychotic medication. Manifestations of this increased sensitivity with haloperidol treatment include severe extrapyramidal symptoms, confusion, sedation, and falls. In addition, haloperidol may impair the antiparkinson effects of levodopa and other dopamine agonists. 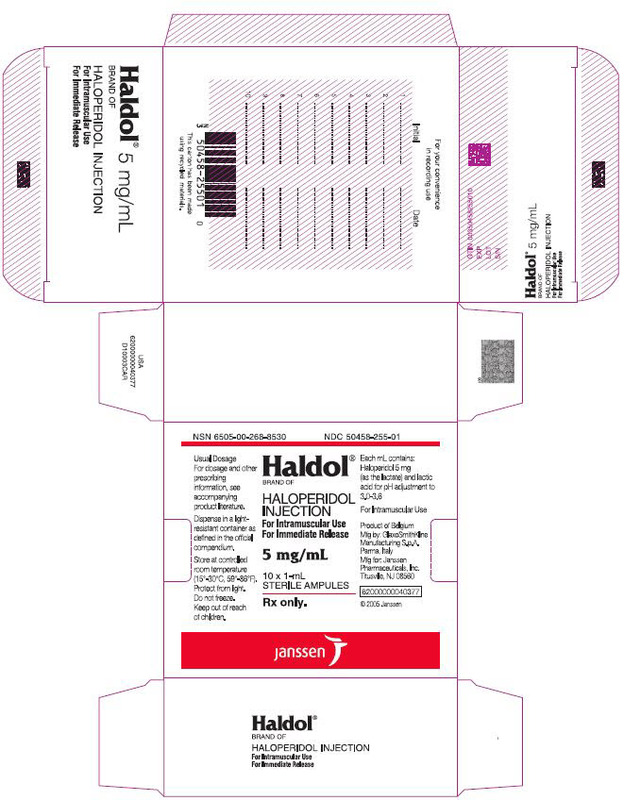 HALDOL is contraindicated in patients with Parkinson's Disease or Dementia with Lewy Bodies (see CONTRAINDICATIONS). There have been postmarketing reports of hypersensitivity reactions with haloperidol. These include anaphylactic reaction, angioedema, dermatitis exfoliative, hypersensitivity vasculitis, rash, urticaria, face edema, laryngeal edema, bronchospasm, and laryngospasm (see ADVERSE REACTIONS). HALDOL is contraindicated in patients with hypersensitivity to this drug (see CONTRAINDICATIONS). 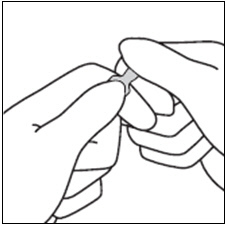 Haloperidol may impair the antiparkinson effects of levodopa and other dopamine agonists. If concomitant antiparkinson medication is required, it may have to be continued after HALDOL is discontinued because of the difference in excretion rates. If both are discontinued simultaneously, extrapyramidal symptoms may occur. The physician should keep in mind the possible increase in intraocular pressure when anticholinergic drugs, including antiparkinson agents, are administered concomitantly with HALDOL. When prolonged treatment (1â€“2 weeks) with enzyme-inducing drugs such as rifampin or carbamazepine is added to HALDOL therapy, this results in a significant reduction of haloperidol plasma levels. To determine the initial dosage, consideration should be given to the patient's age, severity of illness, previous response to other antipsychotic drugs, and any concomitant medication or disease state. Debilitated or geriatric patients, as well as those with a history of adverse reactions to antipsychotic drugs, may require less HALDOL (haloperidol). The optimal response in such patients is usually obtained with more gradual dosage adjustments and at lower dosage levels. HALDOL brand of haloperidol Injection (For Immediate Release) 5 mg per mL (as the lactate) â€“ NDC 50458-255-01, units of 10 × 1 mL ampules. 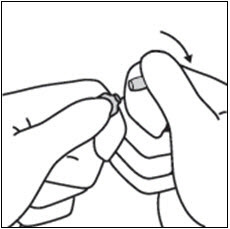 Store HALDOL haloperidol Injection at controlled room temperature (15°â€“30°C, 59°â€“86°F). Protect from light. Do not freeze.